Produce a model for regional collaboration and strategic investment through synergetic public-private partnerships. 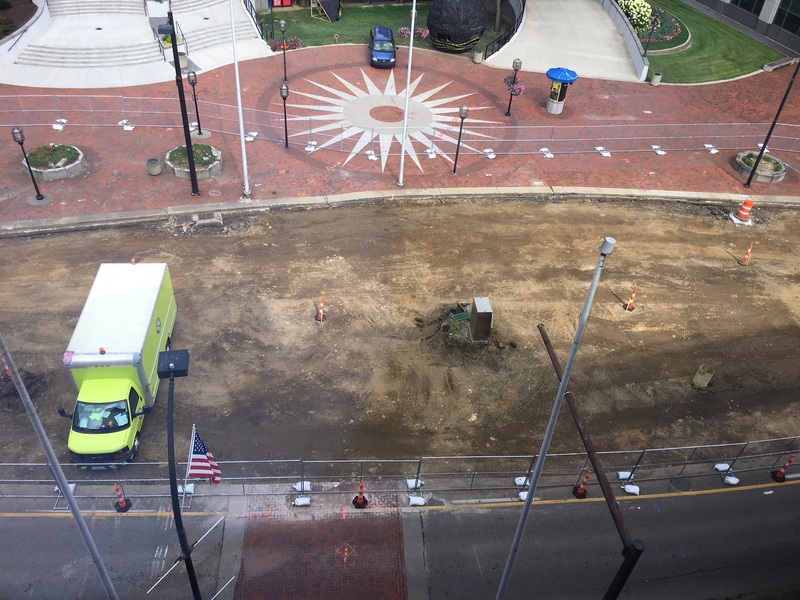 -Akron Energy System’s condensate return and steam line trench partially backfilled in phase 1B. -Poured pier 3 cap for the State Street Bridge in phase 2A. 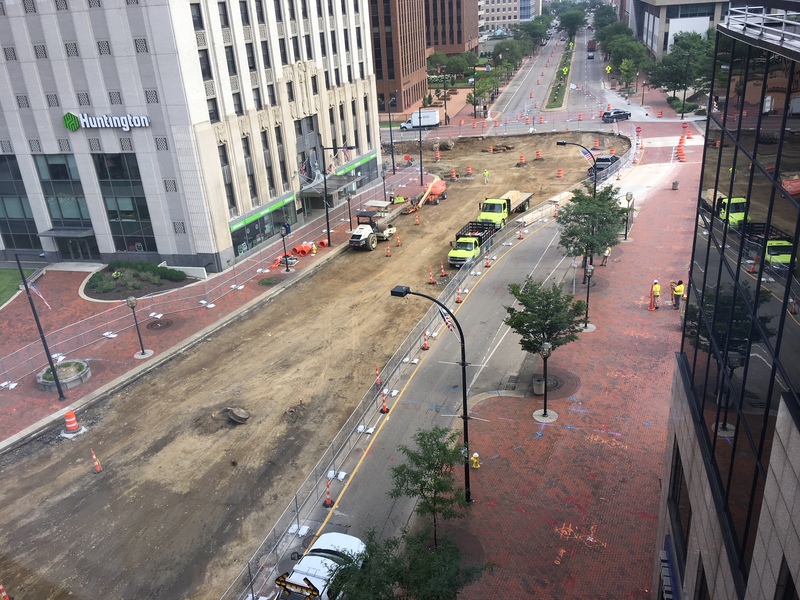 -Curb formed from south end of RubberDucks stadium to the Duck Club entrance on S Main St in phase 3A. -Asphalt pavement placed from Cilantro to the Duck Club entrance on S. Main St in phase 3A. 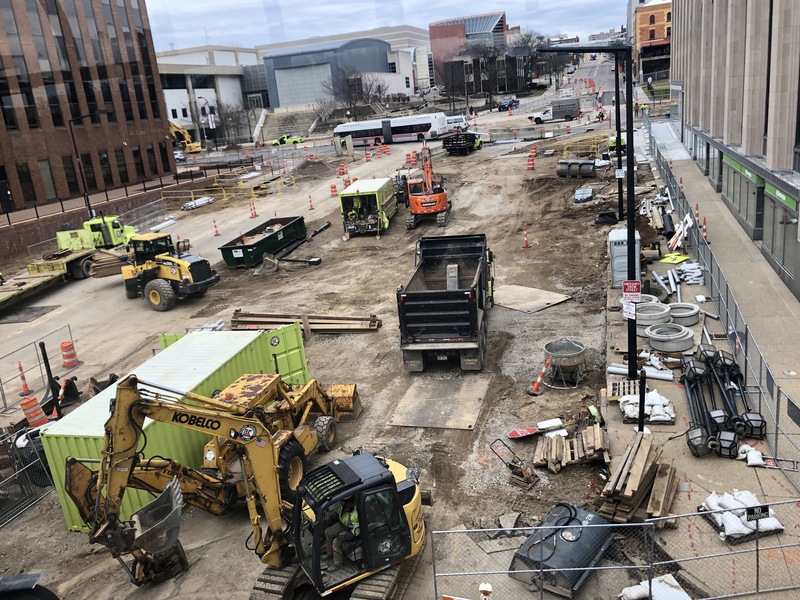 -Poured concrete in front of RubberDucks Stadium main entrance on S Main St.
-Finish Akron Energy System’s steam and condensate return install in phase 1B. 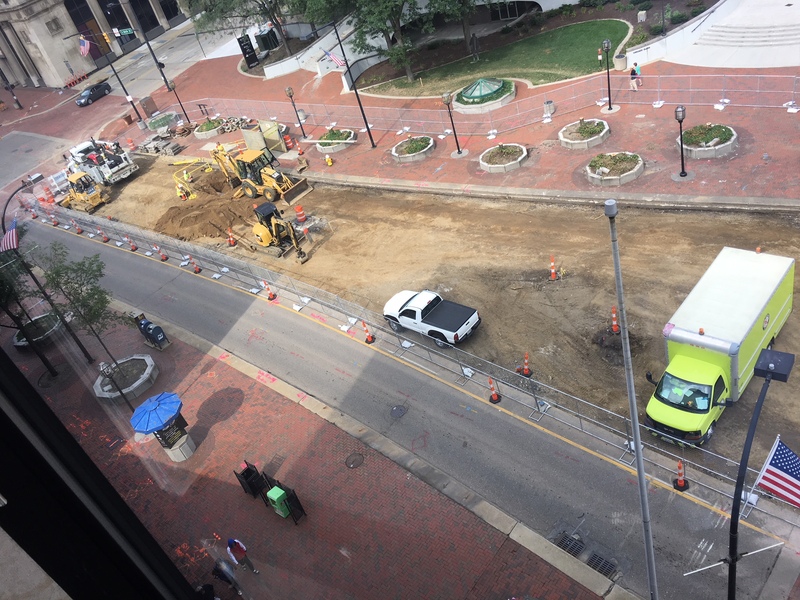 -Continue OhioEdison work in phase 1B. -Remove forms from pier cap 3 after concrete cures in phase 2A. -Continue Akron Energy System’s condensate return install in phase 3A. 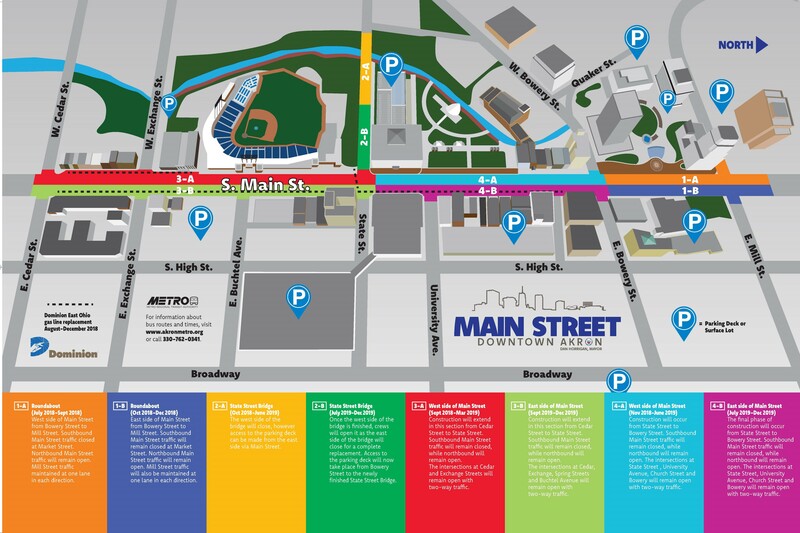 -Pour concrete cycle track in front of RubberDucks Stadium main entrance in phase 3A. -Continue water main install in phase 3A. -Begin AT&T conduit install in phase 3A. The Main Street Corridor Project Team appreciates your interest. 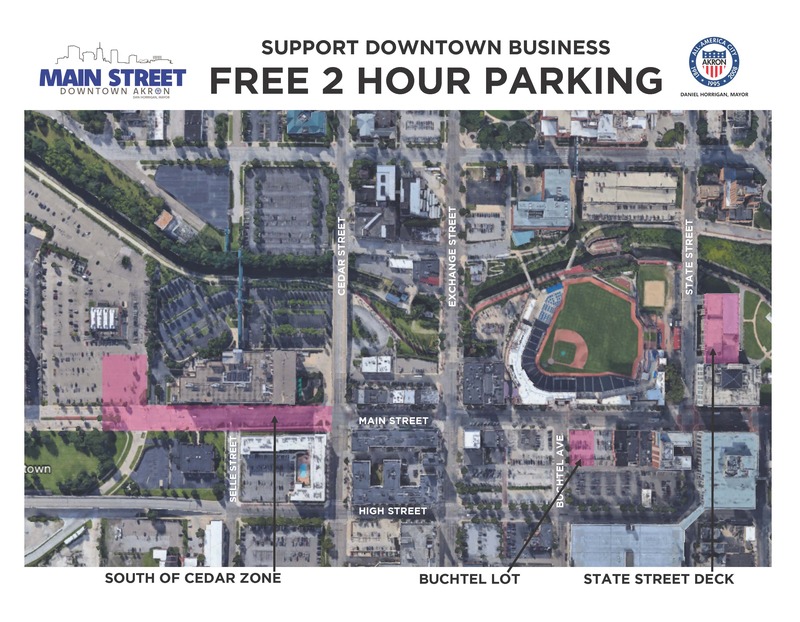 Please complete and submit the following form with any Main Street Specific Questions.